Lest we mistake them for vaporware, autonomous racing series Roborace has a “DevBot” that looks suspiciously like a real car. It has a standardized safety cell for a driver and all. Only that cell isn’t there for what is likely that most terrifying joyride on the planet—it’s for testing and development. Sure enough, here’s the car firing up after the driver gets out and walks away. 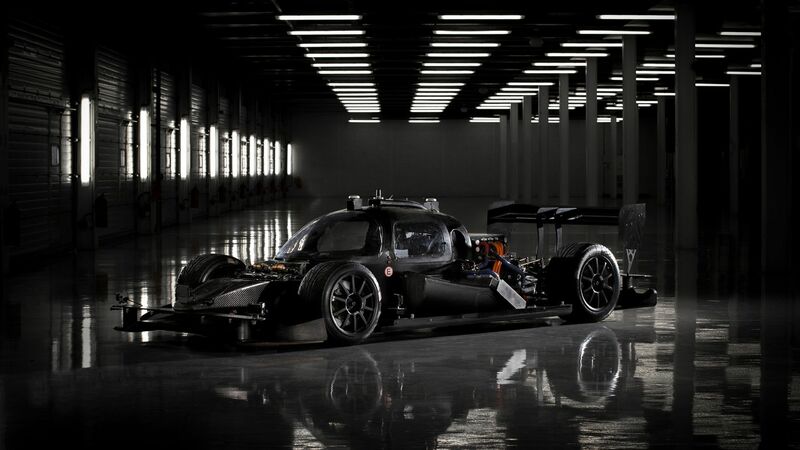 DevBot is the mule Roborace is using to test out the basic hardware and software each racing team will receive at the start of the season, per The Verge. Fear not that the car looks nothing like the Tron designer’s weirdo dog-bones, then—the series claims on YouTube that the human is only there to ensure that the car is acting like a real-life race car. With the exception of the human-friendly safety cell, Roborace claimed to The Verge that the car is entirely custom-made. It shares the same drivetrain, computation systems, sensors and communications technology as the final car, according to the series’ YouTube post. While this short clip certainly doesn’t show the car at the 180 mph speeds we were promised, it’s at least something from a series that’s been carefully guarding its technological details. DevBot makes its public debut tomorrow during the Formula E open practice sessions at Donington Park. Spec Driverless Dog-Bone plans to race next year. Roborace told The Verge that several motorsport, university, technology and automotive companies will have some time with the DevBot before that happens. Throw The People A Bone, Eh?